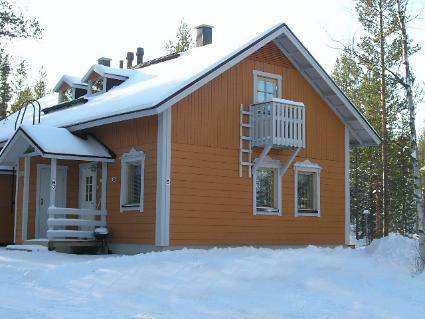 170 km north of Rovaniemi, in Levi Tourist Centre. 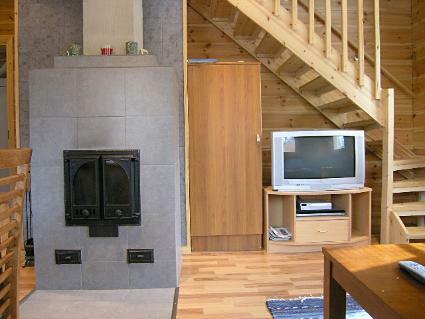 Half of wooden, log-panelled semi-detached house unit 2008. 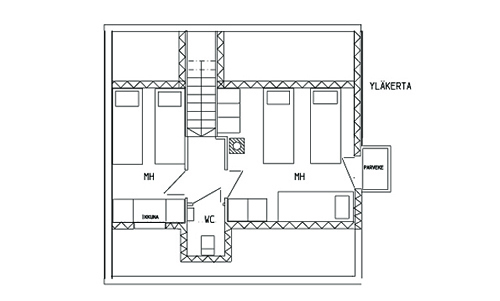 Downstairs: living room/kitchen with L-shaped convertible sofa/bed, sauna (electric stove), washroom, dressing room/utility room and separate WC. 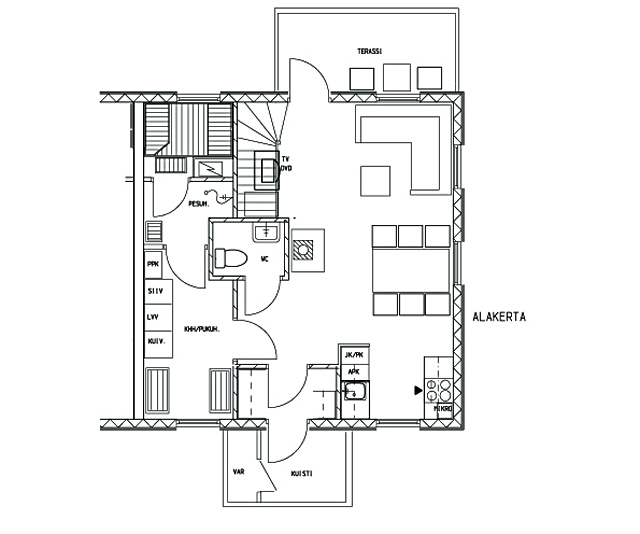 Upstairs: bedroom 3 beds and bedroom 2 beds, WC and small balcony. 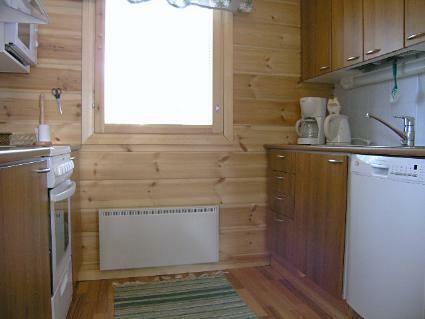 Equipment includes cable TV, ironing board and iron. 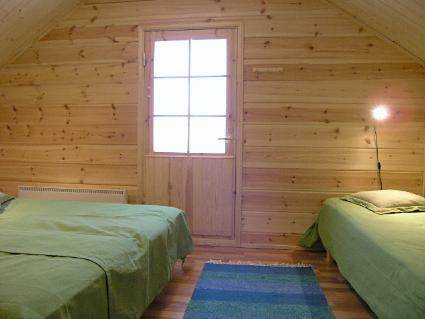 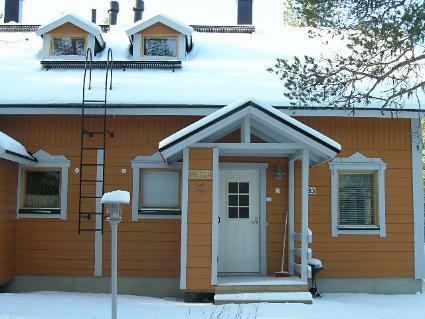 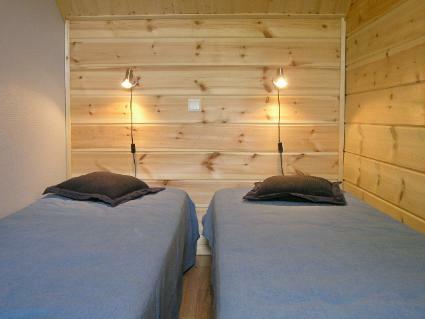 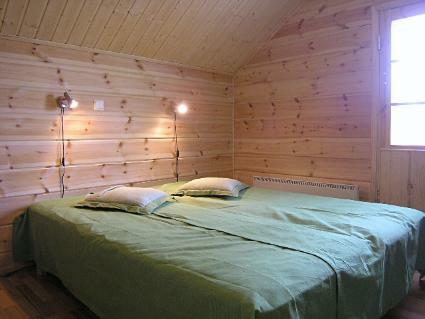 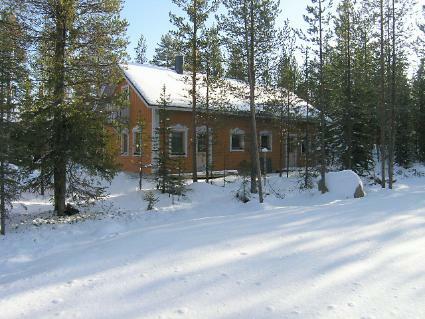 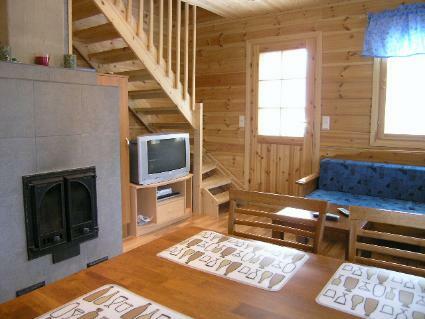 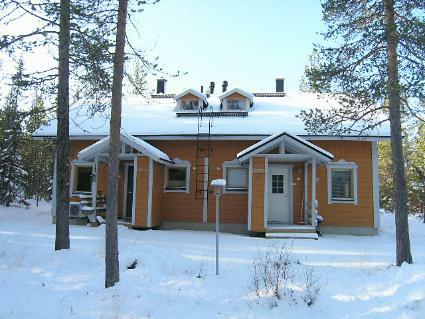 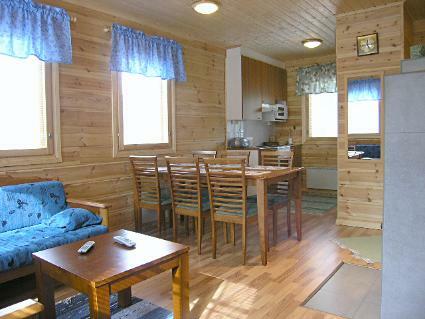 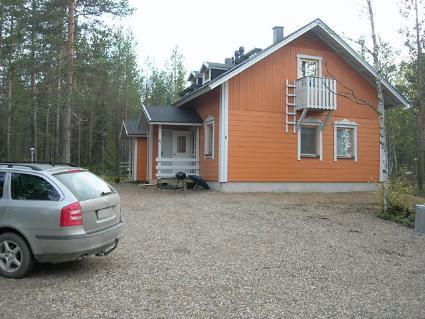 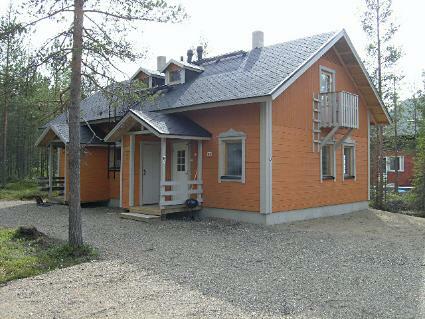 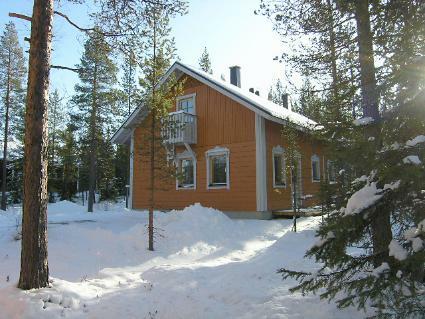 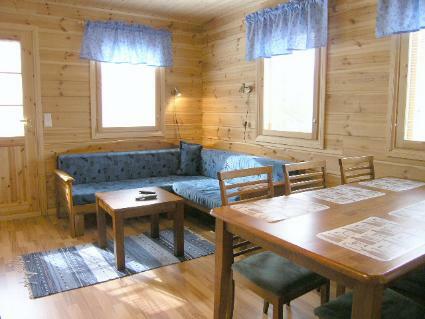 Well-equipped semi-detached unit apartment in Levi Tourist Centre area. 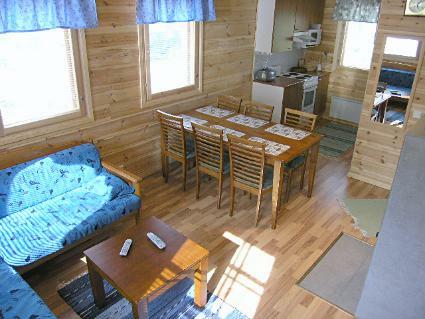 Levi Centre 3.6 km, slopes 3.8 km, Skibus 100 m (on foot, along trail), along road 300 m, snowmobile trail 200 m, golf course 4 km. 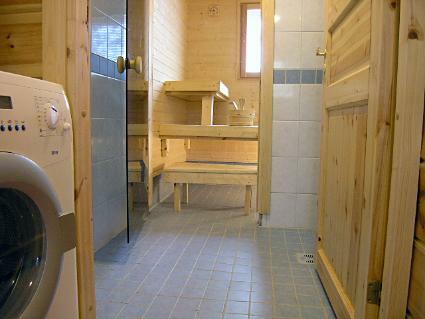 Rating given by customers 3.5. 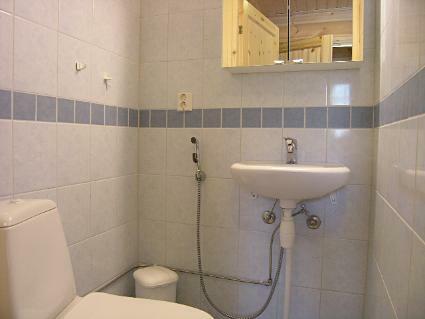 Based on 35 reviews. 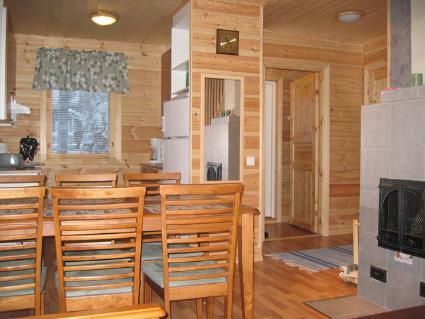 94% of customers would recommend this destination.